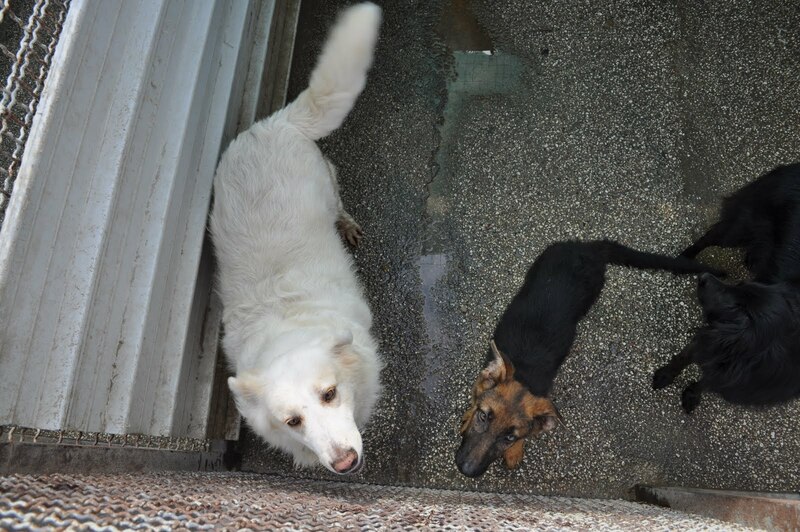 Wonderful dogs in all sizes, shapes, temperaments but all are waiting for a home. It broke my heart to understand that some had been there for 3 years. Sweeter than sweet but disappears in the crowd. 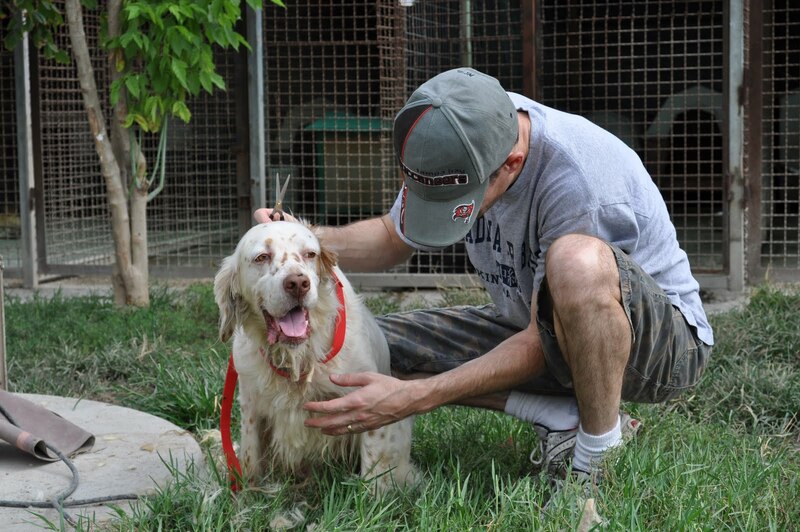 Darren our super volunteer always there with the scissor, and always makes the dogs calm. 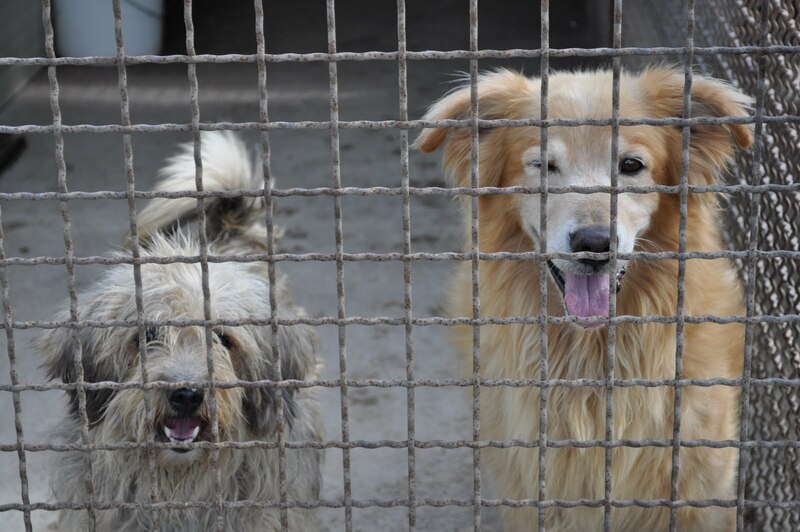 Look at these two….isn’t there a home out there? 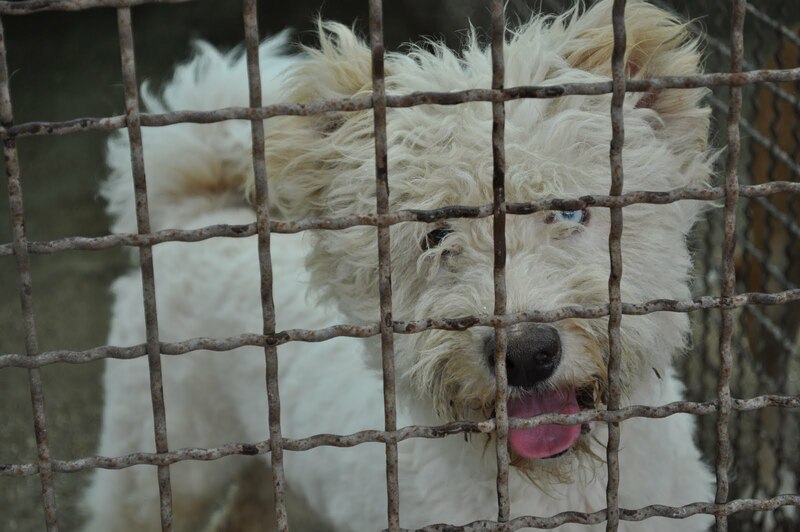 From above, one old one young both waiting and waiting….can we ever give them hope? 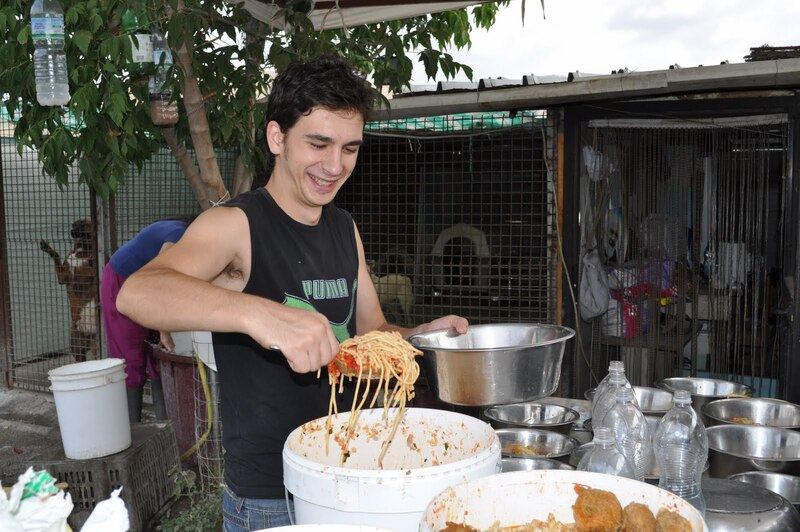 Italian volunteer making the dogs food ready, pasta and pizza, rise and dog pellets, all together. We want to thank Anna from the Base that donated 10 bags of dog food, Jackie with all the towels and the super chocolate cake for us volunteers, Eric donated muzzle’s. Lindy, Jackie, Darren and Eric got the AWL t-shirts that they have deserved like troopers. These T-shirts are donated by Mia Mattsson-Mercer.